For a farmer to succeed, research is critical. Through trials and partnerships with state organizations and universities, the MRRMC strives to create an optimum environment for successful rice farming in Missouri. Research is a constant process during the farming season, and then extends to the laboratories year-round. 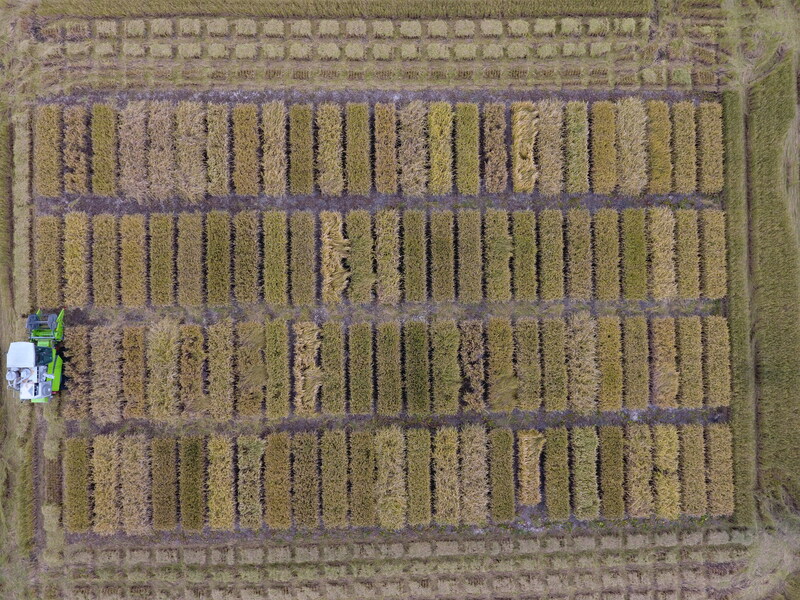 This image is taken from a drone in 2016 while harvesting observation plots using a research plot combine at the Missouri Rice Research Farm. This farm provides us with ideal, monitored conditions to test new seed, monitor soil conditions, and much more. You can learn more about the Missouri Rice Research Farm here.